At the July 10 Regular Council meeting, Sooke Council took a stance of non-concurrence regarding the proposed construction of a cell tower at 5154 Sooke Road, by Freedom Mobile. Four elected officials (Mayor Tait, and Councillors Parkinson, Berger and Kasper) supported the non-concurrence motion. Councillor Pearson stepped out due to a conflict. Councillor Reay did not support it, citing insufficient evidence to validate the residents’ health concerns. Her earlier motion, to send a message of concurrence, did not find a seconder so that motion died on the table. Councillor Logins was not there. The final say will rest with Industry Canada, as this is not an issue over which the municipality has authority. 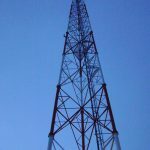 However, any applicant building a cell tower that exceeds 15 meters above ground in height is required to seek consultation with the community. Council has the option of providing one of three responses: Concurrence, non-concurrence, or no comment. Councillor Berger would have preferred a message of “No Comment,” as she felt that the District had done its duty of holding a hearing, gathering input, and having the applicant send a report to Industry Canada. However, she ultimately supported the motion of non-concurrence. At the Public Input session of the meeting, the section that allows for residents two minutes to provide input on most item on the agenda, six people spoke. Five represented the community at Glinz Lake Rd (where the tower will be built) and one represented Freedom Mobile. A petition with 20 signatures was presented to Council. As the mayor noted, while 20 is not in and of itself a big number, in this case it represented the bulk of the community. As some of the presenters from the community noted, the community was united in their opposition of this cell tower. The woman who presented the position noted that the local land use authority (presumably Sooke) had the responsibility to consider the land that was being proposed, had the option of proposing an alternative, and had the right to request an intervention if there is a disagreement. In other words, it is not the “fait accompli” (a done deal) that was suggested with the statement that Industry Canada has the right to final approval. Her request, Who was the land use authority, was not answered. Other members of the community were flabbergast at the poor communication efforts by Freedom Mobility. One speaker said he didn’t understand how a company can come into a community and then so poorly communicate with the people that would be impacted. He noted that every single resident in their area was opposed to this cell tower, without exception. They weren’t against progress, he said. They were against the inflexibility of the company to consider other options. There will be lawsuits, he cautioned, adding that the project has caused extreme stress among Glinz Lake Road residents, mostly because of their approach. A father who lives there with his two young children and his wife said he didn’t want to have his kids exposed to the possible risks. While there was not enough health information out there to draw a conclusion, he didn’t want his backyard to be the experimental grounds. He wanted to know who would be liable in case of a law suit: would it be the land owner, the company or Council? That question remained unanswered. Another person brought up the concern of property values, which he felt would definitely be driven down with the construction of a cell tower. He put the question to the individual Councillors: Would you agree to have this constructed in your front yard? Lastly a resident asked the question, “Is there really any need?” We have great cell service in Sooke, she noted. We don’t need another company who is “trying to bully their way in.” It comes with the price of destroying their neighbourhood, and their piece of mind. She was upset with the whole process. Her understanding is that the land owner hosting the tower already has a signed contract, prior to getting Sooke’s approval. She would like to see Council support its residents. The representative of Freedom Mobile also addressed Council. This is our opportunity to work with the community, and to add service to Vancouver Island, she argued. This spot was selected because they believed it wouldn’t affect views. They are obligated to comply with health standards. If there are issues with the standard, that is a different conversation, and that was out of scope for Freedom mobility. After the last Committee of the Whole meeting where this was first raised, Berger researched the health issues and saw both sides of the story. She said there are 47 cell towers (45 from Telus and two from Rogers) already in the Sooke municipality. Berger noted that all Sooke can do is advocate through FCM (“Federation of Canadian Municipalities“) to the federal government. Industry Canada has the sole right to approve cell towers, leaving it out of the hands of the municipality. “We have no jurisdiction,” said Berger. Our job is to send Industry Canada their complete findings. With Kasper’s request to include in their statement that all zoning requirements had been met by the applicant, that just happened. Reay noted it was a very emotional topic, especially when it was talking about your own backyard. Dependency on cell phones has become critical in our society. Reay noted a community dependency on mobile phones, and a diminishing use of landlines. She looked at a number of cancer research websites. The American Cancer Research noted that cell phone towers were not contributing to cancer potential. Her message to Freedom Mobility was to do better job messaging with the community to alleviate fears. Reay was “trying to step back and take the emotional side out of it,” and she did support the application by Freedom Mobility. She noted there was a lot of support for the cell tower in Otter Point on social media. She is satisfied with the research of Freedom Mobility. Parkinson said that this reminds her of the Library debate, where they were told they didn’t have a say. As it turns out, the voices of Council members were heard, and their opposition to the SEAPARC location ultimately relocated the Sooke Library to Lot A. Parkinson supported the residents who were opposing the cell towers. These towers do devalue properties, she wouldn’t want it in her own yard, and she felt that needed to find a better location, one that had less impact on residents. Kasper asked staff about the next step, and about the Otter Point Road consultation. Staff noted that nothing had been received from the applicants, after having been asked by Kasper to provide research and input for their consideration, at the June 19 COW meeting. Staff noted that Council cannot say yes or no, they can only make a recommendation to Industry Canada. Mayor Tait appreciated that we were in the world of technology, but was troubled by the impact this installation has on the neighbourhood. She hears the stress and deep level of concern from the residents along Glinz Lake Road. Were it a willing neighbourhood, she would welcome it; however, she does not see that willingness. She wouldn’t want it in her own yard either. Berger chimed in, saying she also had issues with sight lines. She noted that the Otter Point has seen little objection. She doesn’t want to impose this on someone’s property. Her suggestion was to give a statement of “No Comment.” Their three options were to give a statement of concurrence, no concurrence, or no comment. Reay wanted to know why these towers are before Council, when the other 47 have not. Tait noted that Telus and fibre optics did come before Council. 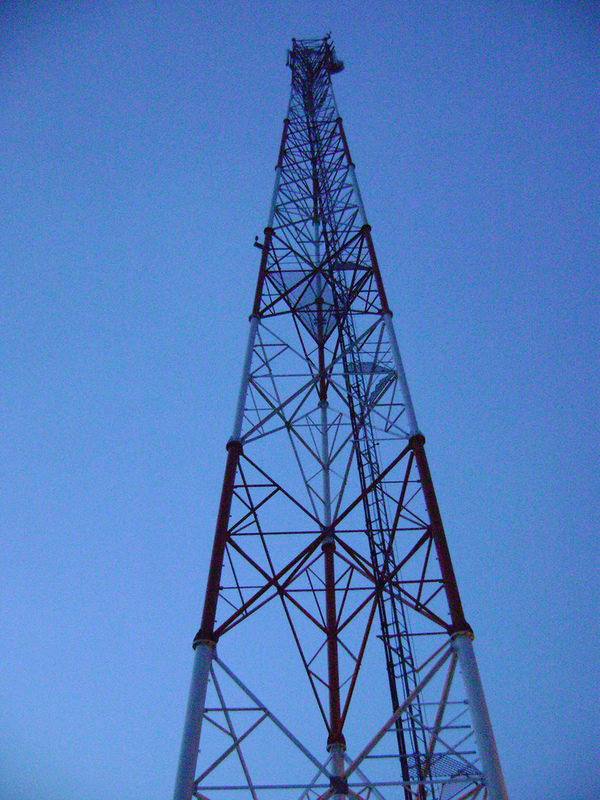 Berger noted that IC only requires consultation for towers over 15 meters above the ground in height. Ultimately, Council opted for a statement of non-concurrence. Staff was directed to provide a direct statement to Industry Canada, even though that was not a part of regular protocol (which has a statement made to the applicant, and the applicant would forward that information to Industry Canada). Councillor Reay wanted the record to show that she won’t be supporting the motion. There’s no evidence of health risks. She also wanted the statement to include that her consultation with residents on social media showed support for the cell tower on Otter Point (a different application). What happens next is currently unknown. Industry Canada does has the final say, and Council has collectively (with one exception, for reasons stated above) stood behind the concerned residents. Freedom Mobility will be required to present their finding to Industry Canada. When we learn more, as always, we will report. just wondering why Councillor Reay had to ask why the application was in front of her when the other 47 were not when in fact she was part of the process to prove them?? Was she away that day? Maybe she lost her homework. So are they now looking to put it in Councillor Reay’s back yard? I’ll bet she would turn that one down. If it is the “ugliness” of structure that “really” bothers people, then I would like to propose the construction of a tall sculpture that incorporates the cell features into the top section of the sculpture. Why not create something that is stunning. After all: Who in there right might would want an ugly tower in their neighbourhood? It would bring down their property value for sure. We have created sculptures for several cities and we would be happy to design something that would become an iconic structure and contribute to Sooke’s reputation for being a progressive and special place. We would be happy to discuss this with those concerned. The ugliness or beauty of the structure is not what is in question. There are health and safety concerns and a tremendous loss of real estate value There is also the question of need. We don’t need another tower, especially here. Our cell phone service is excellent and to foist this tower on am entire community that clearly don’t want it is obscene. How dare they come into our community and try to erect this monstrosity? Would you want this in your front yard? Don’t make light of this. It is serious and unwanted and unneeded. I say put it up, we are all surrounded by cell waves, radio waves, and many other kinds of information transmission waves. It’s just a part of life nowadays, maybe not put one up in the middle of a school playground but the 5100 block of Sooke Rd, why not? People complain about the spotty cell service out hear and then when someone wants to work on that, everyone freaks out and says it’s bad for our health….. can’t please everyone. This current cell phone service is excellent. How dare you say they should just put it up on Sooke Road? You don’t know anything about where it is to go or what it would be like. I will be happy to pass your name along to the cell phone company and tell them that you want it in your front yard. Why say these generalized things without researching what you are saying? Radio waves, cell waves, and microwaves are NOT harmful to humans. They won’t cause health issues.